Veysey began his career as an apprentice with Arsenal, but on failing to make the grade followed his family who had moved to Devon. Turning down an offer from Exmouth Town, he joined Dawlish Town. Torquay United signed the keeper in November 1987 and he played a major role in Torquay's run to Wembley in the 1989 Sherpa Van Trophy. However, Veysey suffered a serious leg injury after a collision with his team mate David Cole in April 1989 and so missed the final. Fully recovered he was an ever present in 1998-90 and after 72 league appearances for the Gulls he was transferred to Oxford United in October 1990 for a fee of £110,000. He stayed at the Manor Ground for almost three years, making 57 league appearances before joining Reading on a free transfer in August 1993. 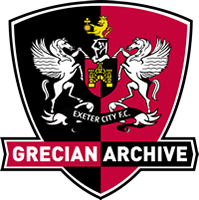 He failed to break into the first team at Reading and subsequently returned to Devon, joining Exeter City on a free transfer in October 1993.
was in a 4-0 defeat at Stockport County. Released at the end of the season, he signed for Dorchester Town. He was to rejoin Torquay United in August 1997 on part-time terms but once again missed a final at Wembley, this time a play-off game, as he had been sent off beforehand and suspended. After a further 37 league matches for Torquay, Veysey joined Plymouth Argyle in August 1999 and played six league games for them that season. 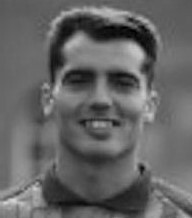 His next club was Taunton Town, signing for them in May 2000, however a back injury restricted his matches for them and in October 2000 he was back at Torquay United, this time as goalkeeping coach. Veysey had opened a golf equipment shop in December 1999, ‘The Golf Locker’, in the Preston area of Paignton, along with his former team-mate Chris Myers. After working as a postman in Torquay, he was back for his fourth spell at Torquay United in June 2007, as goalkeeping coach.